Our countrywide network of Toyota Authorised converters are able to assist you with sourcing bespoke conversions to meet your individual needs. 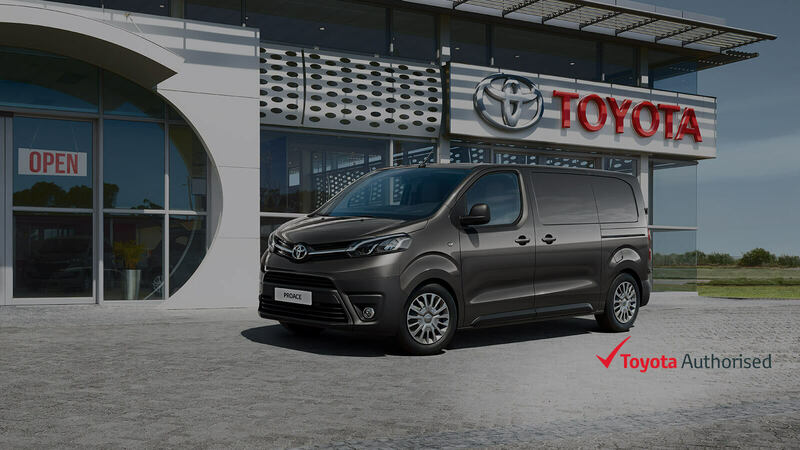 Toyota Authorised Converter status confirms that a converter meets Toyota’s own stringent production and process quality standards in every aspect of the conversion process including type approval, warranty and after sales service, giving customers complete peace of mind. Each converter is monitored throughout their three-year contract with Toyota, to ensure the vehicles they convert maintain the very best Quality, Durability and Reliability irrespective of the conversion. Finding the right access vehicle for the job should be easy and convenient. Understanding you have deadlines and budgets to work to, Cumberland Platforms Limited work closely with you to ensure every box is ticked. From the moment of your first contact, right through to off-site servicing and support. Working in partnership with CPL, we have the expertise, resources and experience to ensure a seamless process from beginning to end. In addition to building the Toyota Trade Plus refrigerated Proace, CoolKit® design and manufacture their own bespoke insulated lining kits for many different requirements. The conversion kits are fabricated in their UK-based workshop by a team of trained engineers using industry-leading 3D CAD software. In partnership with Toyota, CoolKit® are able to create bespoke solutions to match customer requirements exactly, from chiller & freezers to dual temperature zones and temperature controlled vehicles. Bri-Stor Systems’ bespoke van conversions solutions are designed, manufactured and installed by their professional and experienced workforce. With an understanding that some businesses have their own individual requirements not met by the Toyota Trade Plus Racking systems, Bri-Stor offers a bespoke approach to vehicle racking too. A wealth of experience through over 30 years within the vehicle conversion industry results in tried and tested products and a product that gives customers a great choice of van racking and storage systems to suit a whole range of requirements. With over 45 years of experience and a hard but successful history, TGS is one of the longest-standing vehicle converters in the UK. Fleet operators, leasing companies, vehicle dealers, local authorities, and emergency services. With over 32 years of experience, Qi Van Systems specialises in innovation, product quality, and customer service. From a central location in Telford, they are able to offer customers a complete vehicle conversion solution all on a single site. During the consultation process, their knowledgeable Account Managers, and experienced Designers take the time to get to know your business and specification requirements, to provide a bespoke solution – from racking and ancillary components, to livery and After Sales support.